Working on the "A Penny Gathering" pattern by Lisa Bongean of Primitive Gatherings. We complete a 6" block each month. Learn how to cut and applique wool onto cotton, flannel, or wool backgrounds and build a repertoire of decorative stitches! Completed blocks, once set together and borders added, create a beautiful quilt..
Materials Included: Background fabric and wool for applique. Requirements: Bring little scissors, #8 perle cotton and/or 12 wt cotton threads, heat erase pen or erasable fabric marker. 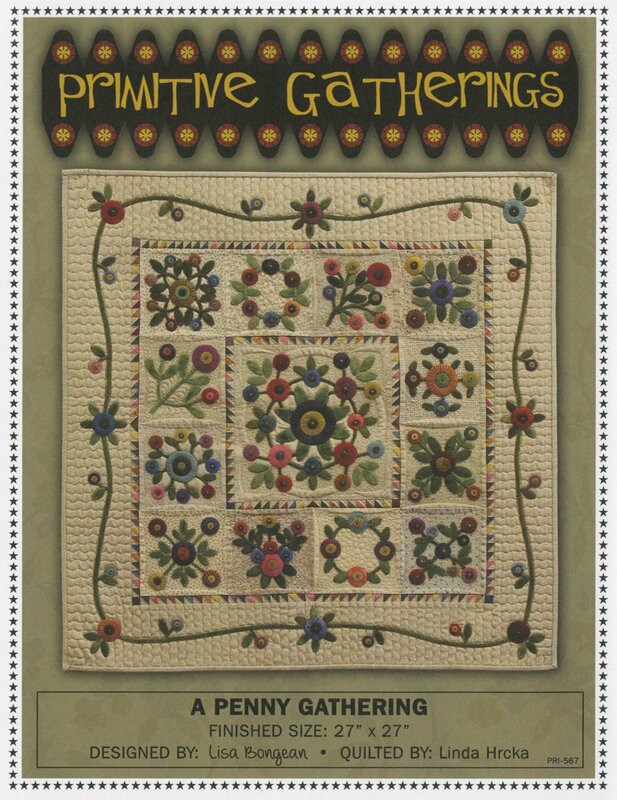 Purchase the "A Penny Gathering" pattern when signing up or when arriving for the FIRST class.